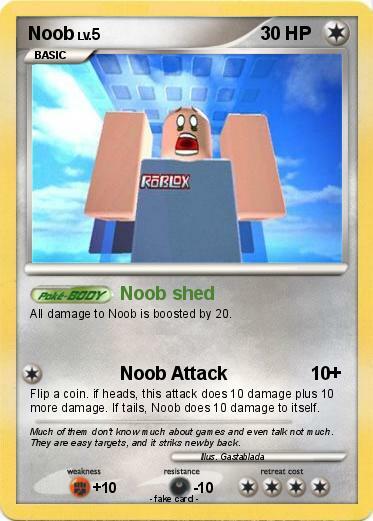 All damage to Noob is boosted by 20. Flip a coin. if heads, this attack does 10 damage plus 10 more damage. If tails, Noob does 10 damage to itself. Comments : Much of them don't know much about games and even talk not much. They are easy targets, and it striks newby back.